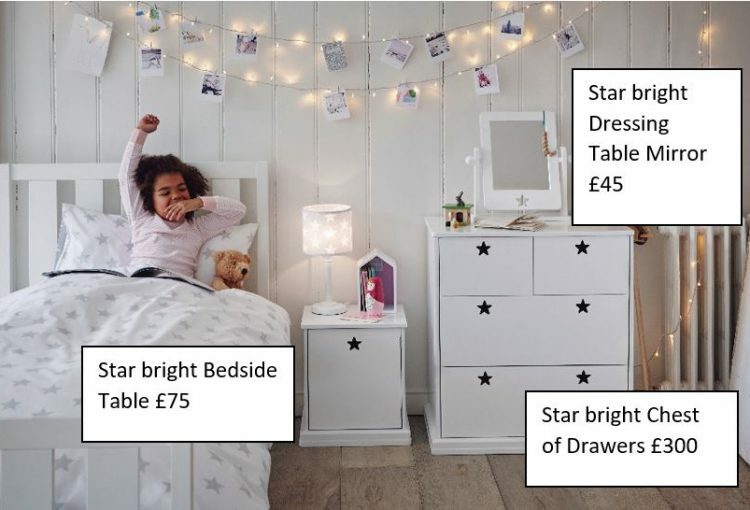 As the nights start to draw in, the multi-award winning children’s retailer Great Little Trading Co., launches the new Star bright children’s bedroom furniture collection. Combining practicality and style with quality which lasts and lasts. 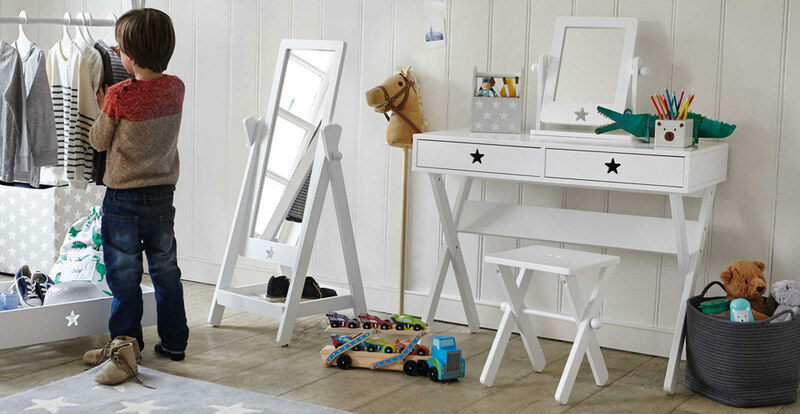 The Star bright collection features key bedroom furniture including a desk, dressing up rail, wardrobe, bookcase, mirrors and bedside table, all with a distinctive star design. Each piece has been designed to match. It is the ultimate bedroom set to create the perfect space for work, rest and play. 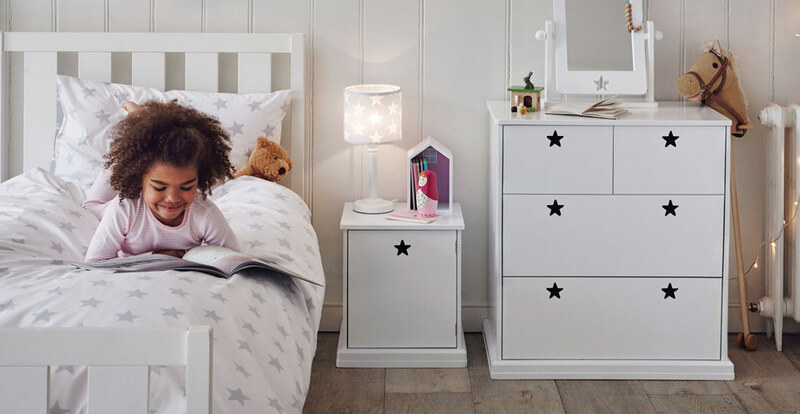 You’ll find the entire range of Star bright furniture on show in GLTC’s West London showroom. Why not give it a visit? 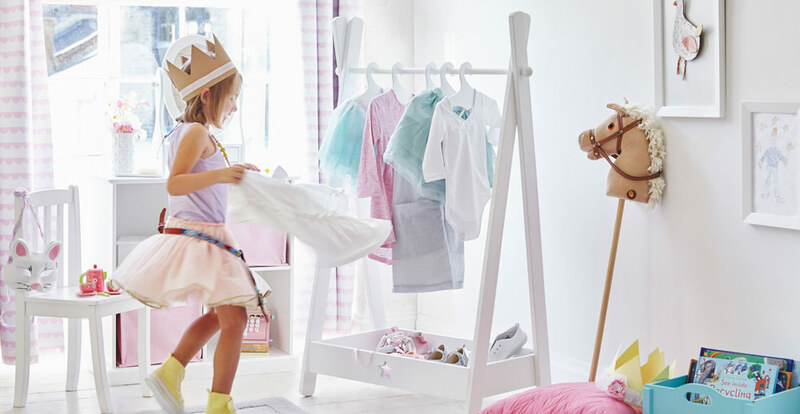 You’ll also be able to browse lots of beautifully crafted toys, furniture and accessories from this multi award-winning British children’s retailer. Who promises that “everything we make, makes a happy home”.